Delivering a tactile and beautiful musical experience, Selekt DSM will make any system sound better and help you fall in love with music all over again. Gilad Tiefenbrun, Linn Managing Director said, ‘We love the clarity of digital music, but we also love the tactility of physical records. 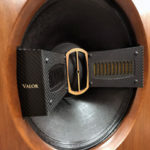 It’s easy to feel we’ve lost touch with the immersive experience of playing a vinyl record – the LP selection, the lift-lower, the anticipation during those first pops and clicks – and that playing music requires only a swipe and a tap. Selekt DSM’s jewel-like dial and smart buttons are ready to be personalised to your wishes, providing instant access to your favourite music by making it possible to operate the product without the need for an app. The customisable smart buttons, which have been crafted to feel like piano keys, respond instantly with the detailed music information appearing on the onyx-black OLED display. 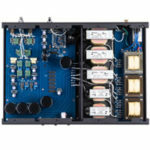 Either way, there’s an option to push the performance even further with Katalyst, Linn’s cutting-edge DAC architecture. Selekt DSM’s on-board pre-amplifier enables all sources to be connected, including a turntable, for better sound, instantly. Selekt DSM includes the new version of Linn’s ground-breaking Space Optimisation technology. Space Optimisation uses Linn’s unique digital signal processing to ensure you get the best possible sound from any Linn DSM network music player, removing the distorting effects of your room. 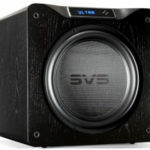 Now everyone can place their speakers exactly where they want them and still enjoy the best performance possible. Selekt DSM is as stunning to look at as it is to listen to. Every element is precision engineered for the most authentic musical performance possible. Machined vents flow across the sleeve, tracing a path along the heat sources for natural cooling. Chromed feet anchor it to the shelf, with a plaque celebrating its unique origin: every Selekt DSM is handbuilt with pride in the Linn factory in Glasgow. The below configurations are selected at the point of purchase or can be upgraded to at a later date, enhancing performance or function, or both. Upgrades come in the form of removable cartridges so that a Linn Specialist can carry out an upgrade in a customer’s home quickly and simply. Selekt DSM is available in black finish. Orders can be placed immediately with delivery from October 2018. 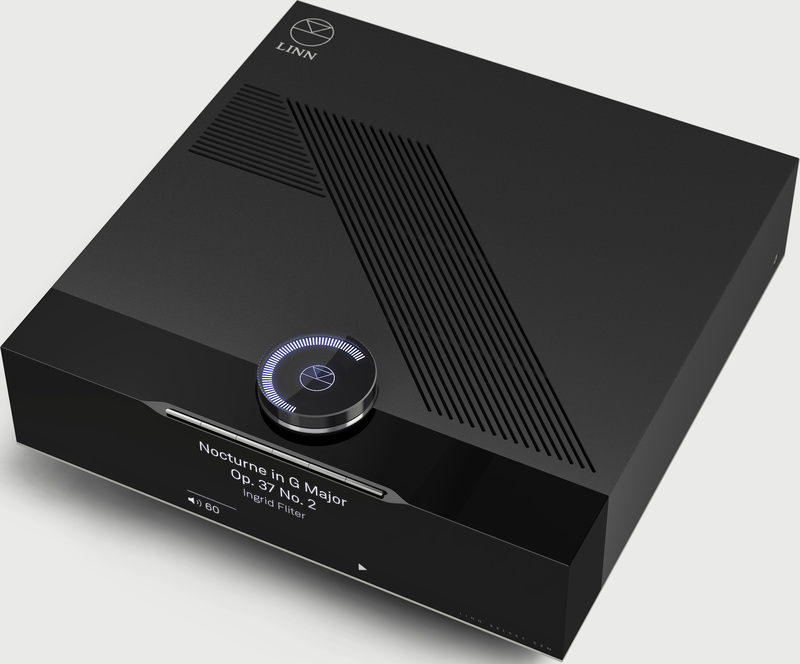 From 1st October 2018, every Linn network music player will come as standard with digital and analogue inputs. This means every new Linn network music player can have external sources connected, from TVs to turntables, ensuring every last musical detail is preserved. The last order date for Linn DS network music players is 30th September 2018. 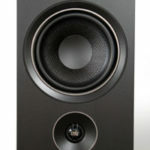 Linn designs and makes the world’s best music systems. We have just one goal in mind: to bring you ever closer to the music you love, for you to feel every note and experience your music with a clarity and power unlike anything you’ve ever heard. Every Linn system is precision engineered just outside Glasgow and signed with pride by the person who made it. In a world of planned obsolescence, we do the opposite. Our hardware is modular, our software upgradeable, our eyes firmly on the future. We believe that music makes life better, and we know that our systems make music sound better. Selekt DSM’s dial is much more than a simple volume control. Contextual tilt and press controls enable the user to start and stop a stream, cycle through a play queue or list of radio stations, and even switch to any connected sources. Using Linn’s new Pins feature, each button can be assigned to activate a playlist, genre, or artist from a local collection or streaming service like Tidal and Qobuz. They can also be set to a radio station or even a physical source. The ability to personalise the device makes it easier than ever to start listening to music instantly. Selekt DSM has all the analogue and digital connectivity expected from a Linn DSM, including a built-in phono stage with dedicated inputs for either a MM or MC cartridge. It streams virtually any digital source over a standard network and integrates seamlessly with Tidal, Qobuz and Spotify Connect streaming services, plays internet radio via TuneIn and is compatible with Roon. Type: Bridged Class-D amplifier with post-filter feedback.A bespoke design that provides maximum performance in minimum space and with minimum heat dissipation. Applies an additional feedback loop around the low-pass filter to significantly improve performance.